Henri Nouwen, the world-renowned spiritual guide and counselor, understood the spiritual life as a journey of faith and transformation that is deepened by accountability, community, and relationships. Though he counseled many people during his lifetime, his principles of spiritual formation were never written down. Now, Michael Christensen, one of Nouwen's longtime students, and Rebecca Laird have taken his famous course in spiritual formation and supplemented it with his unpublished writings to create the definitive series on Nouwen's thoughts on the Christian life. The first book in the series, Spiritual Direction, introduced readers to Nouwen's core concepts and how to live the questions of the spiritual life. 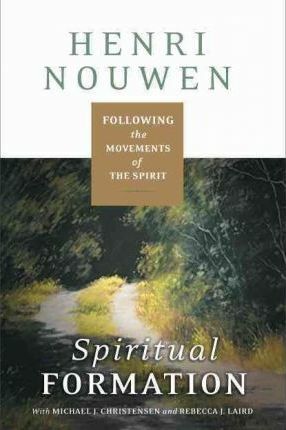 Now Spiritual Formation reveals Nouwen's sage advice on how to live out the five classical stages of spiritual development. Featuring a unique visio divina to help guide and focus prayer, this volume reveals Nouwen's unparalleled wisdom on how to move from the mind to the heart and live there in the center--the place where God dwells.